Microsoft rolled out a technical preview of its Windows Server 2016 on Wednesday (Aug. 19) that includes the first peek at Windows Server containers developed in partnership with application container leader Docker. The advance moves Docker containers a step closer to running on the next release of the Microsoft server, the partners said. Microsoft called the first public build of its Windows Server Containers "the first step in bringing containers to the Windows Server ecosystem." It also released new "nano-server" functionality defined as a "minimal footprint deployment option" along with software-defined networking. The latter includes a scalable network controller, a load balancer and hybrid cloud gateways. Microsoft said its open-source container approach is designed to deliver "operating system level virtualization" to run multiple applications isolated from each other in one container host. Industry observers at LinuxCon in Seattle this week noted that Docker containers running in multitenant environments lacked the necessary isolation, a security feature that prevents one application from "seeing" another. Microsoft's latest Windows Server approach also addresses these security issues via "shielded" virtual machines. The company said its latest build includes additional security features for the next release of the Hyper V hypervisor. 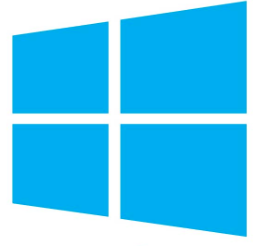 "Shielded VMs are at the center of our commitment to helping you protect resources in shared environments," Microsoft emphasized in an Aug. 19 blog post announcing the Windows Server preview. For its part, Docker said this week's Microsoft server release addresses a frequently heard question: "When will Docker containers run on Windows?" Arnaud Porterie, a Docker senior engineering manager, noted in a separate blog post that Microsoft has steadily been adding containerization primitives to the Windows kernel in much the same way Docker leverages the Linux kernel. With the Windows Server 2016 preview release, any user code should be able to execute a process in beta. The Windows Server preview "makes it the only Windows Server operating system that is capable of running the Docker daemon today," Porterie noted. Microsoft modified about 180,000 lines of code to allow the Docker Engine to run on Windows Server 2016, he added. The container startup also stressed that Docker Engine for Windows Server uses the same open source code built for Linux and Windows. Moreover, the Docker daemon does not run Linux images and no virtualization is involved. "This means that Docker is becoming a platform-agnostic interface for running processes," Porterie noted. It also means workloads could be distributed across a "mixed cluster of Linux and Windows Server hosts orchestrated by Docker Swarm," the native clustering tool for Docker. Microsoft noted that the release of the Windows Server technical preview also signals its intentional to make "containers a part of the modern application platform" when Windows Server 2016 reaches datacenters next year. The Windows Server 2016 Technical Preview released this week can be downloaded here.